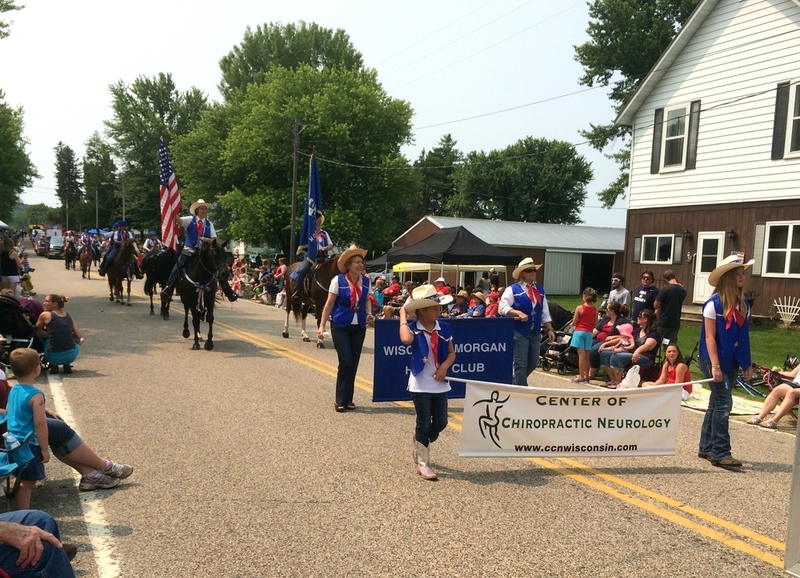 The Wisconsin Morgan Horse Club Parade Unit turned out a nice group of nine horses and riders, along with a number of volunteers to carry banners and outfit us, to participate in the historic Fourth of July parade in Witwen, WI. The weather was warm but sunny and all the equines and their human partners handled the parade and the crowds, which are very close to the action at Witwen, in an extremely mannerly fashion. We heard many compliments on our "beautiful" horses from the spectators. The next parade for the club is Circus Celebration Parade on July 25th, which starts at 2 p.m. on the Square in Baraboo. Posted on July 18, 2015 by Heidi Harvey and filed under Parades. Copyright Wisconsin Morgan Horse Club 2015. All photos used with permission. Powered by Squarespace.